How Would You Live if You Knew You Couldn’t Die? Death is so annoying. That’s how I feel about it right now. It is annoying, because for so many of us, the fear of it is a distorting filter that obscures our ability to live a true life or to relate to others who are earnestly seeking to live such a life. And what is a true life? As I understand it, a true life is a life that emerges from the context of eternity–a life that is never satisfied with the justification that the fear of death is a sufficient excuse to not live our lives toward greater and more inclusive expressions of love’s perfecting impulse. Contrariwise, the fearful life is the life that justifies nearly every injustice imaginable–emotional, mental, physical, spiritual, etc.–simply because we are trying to survive. For more than a month I have been reading or listening to 1 Corinthians 15 twice daily in English and Chinese. As I mentioned in the post, Death, Where Is Your Sting?, after reading the passage at a memorial service, I became captivated by its message–we are eternal, period. As the author tells it, this is the meat of Jesus’ Good News. Everything else he lived and taught emerged from this awareness. At least that is what makes sense to me. Paul calls death the “last enemy” that Christ defeats. Enemy of what but life itself? And if it is defeated then what does this say about life? That it never ends. Imagine that if you can? I find it interesting that Paul says, “Let us eat and drink if our resurrection isn’t real,” because in Matthew, when Jesus is telling his listeners not to worry, that is what he specifically addresses–“Don’t worry about what you are going to eat or drink…”, “Isn’t life more than food…, “These things dominate the thoughts of unbelievers…”, etc. I don’t see this as a coincidence. I think that this teaching is the fundamental core of what Jesus was here to teach us. And I don’t think “eating and drinking” is limited to physical sustenance, but includes everything we think we need to survive in this world–what is often referred to as mammon. What is “eating and drinking”? The last example I will give is when Paul refers to spiritual food and drink in 1 Corinthians 10 when speaking of Israel’s history of forsaking the spiritual for the carnal. Notice that he calls Christ the spiritual rock out of which his ancestors drank the spiritual water even though Jesus was not even born yet. All of them ate the same spiritual food, and all of them drank the same spiritual water. For they drank from the spiritual rock that traveled with them, and that rock was Christ. Perspective is everything. Even if you don’t believe in eternal life or heaven or hell, in order to understand what the writers are trying to say, one has to–at a minimum–accept that the writers believed in some idea of an enduring life beyond the corporeal experience. I am saying this as a person who for years could only logically follow Jesus up to the Cross. My logic stopped at the cross because I could not relate to anything beyond it. 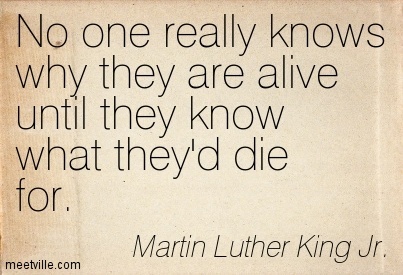 I could understand someone dying for what they believed in and I could even accept someone forgiving their murderers. But my ability to relate ended at the place where Jesus came back to life because I could not imagine myself coming back to life or even desiring a life after this one to tell the truth. The fact is, I decided to follow Jesus’ teachings simply on their merit. Furthermore, I didn’t want any incentives to follow him–no heaven to gain or hell to fear. Still, I accepted that those who wrote the scriptures believed in eternal life whether it was spent in heaven or hell or some other state of consciousness. So I read the writings from that point of view. As a child I naturally felt like I would live forever because I never had an experience of otherwise. In fact, when I first learned about death, I had a challenge accepting it and could not understand the fear of it. 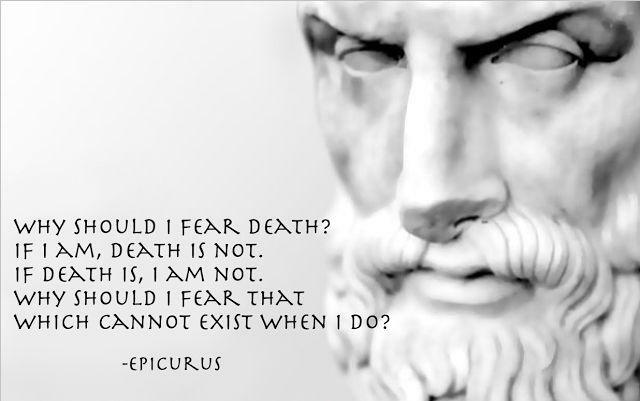 My mindset was pretty Socratic. So when I learned about the church’s teachings on eternal life, I readily accepted them and literally adored John 3:16 because it just felt right. But, I eventually learned that the fear of death was an epidemic in our society and particularly in the church. Rather than rejoice in the awareness of eternal life and celebrate it as the gift of our loving Creator that would free humanity from its spiritual slavery, it seemed to me that the fear of death was still the primary motivator for most of us. And as a result, it appeared that we projected the same conquering mentality to our spiritual lives as we do in the material world. I saw enough of this in my daily life and did not look forward to more of this mentality after I transitioned from this experience. Determined to just love God for God’s sake and not for what I could get from God, I eventually, I decided between me and God that I would live my life Christward even if at the end of it there was nothing. For years, after I made that decision, I drew strength from the idea that God didn’t owe me anything. Just like I wouldn’t want someone to only want to be in a relationship with me because of what I could do for them, I, in my own way, wanted to free my relationship with God from the human “What’s In It For Me” (WIIFM) paradigm. This deal with God was a safe haven for me for years because, it seemed to be the only relationship I have ever known that was not somehow effected by this human tendency. Since becoming a parent. I have often been overwhelmed by my desire to give to my children. In fact, I have come to know more about myself through my desire to give to them than almost anything else. I have also come to appreciate the teachings of God as a parent in a whole new way. And recently, I have come to see that God is expressed in part by the gifts that God gives–chief among them being eternal life. This consideration has caused me to reevaluate my position on not desiring anything from God. Above all things I desire to know God as God desires to be known. This has led me to believe that in God, the Giver and the Gift are One. It has taken years for this thought to catch up with me and how I express my faith. But I think that is why reading 1 Corinthians 15 at the memorial service had such an impact on me. What it expresses has taken root in me and now, I must go about the work of exploring what this new conviction means for how I gift to the world. Just like I do not want the idea of death to get in the way of me living a true life. I do not want an attachment to a former way of being to keep me from exploring and shifting with new awarenesses and perceptions if they can lead me closer to the heart of Christ. When it comes down to it, I think that what I believe about life is going to effect how I live it. If the clock is ticking and I’m only here for this experience, then perhaps the WIIFM Way is the best I can hope for and the best I can offer. But if I truly believe that the truth of who I am–who we all are–is eternal then my life and my relationships should reflect that on every level and I should never be satisfied with less. Death cannot get in my way of loving and living like I have nothing to lose. You are such a prolific writer.